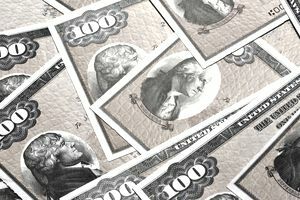 U.S. Treasuries like U.S T-bills, notes, and bonds, are widely considered the safest investments in the world. And there’s no doubt they deserve that reputation. Treasuries are backed by “the full faith and credit” of the U.S. government and, as a result, the risk of default on these fixed-income securities is next to nothing. Since the initial formation of the government in 1776, the U.S. Treasury has never failed to pay back its lenders. Not even the safest corporate bond in the world can make that claim. If your primary goal is to not lose your money, treasuries are for you. When you buy a treasury bill, bond, or note, you can rest assured your principal will be returned in a timely manner, along with all the interest that's due. But the fact that your principal investment is protected does not mean that treasuries are completely risk-free. In fact, holding treasuries poses some very specific risks like inflation risk, interest rate risk, and opportunity cost. If inflation rises, the value of your Treasuries investment may decline. This is called inflation risk. Consider, for example, that you own a treasury bond that pays interest of 3.32%. If the rate of inflation rises to, say, 4%, your investment is not “keeping up with inflation.” Or to put it another way, the real value of the money you invested in the bond is declining. You’ll get your principal back when the bond matures, but it will be worth less. One way of minimizing this problem is to invest in TIPS - a Treasury Department investment vehicle called Treasury Inflation-Protected Securities - or, alternatively, investing in mutual funds holding TIPS. For more about the advantages and disadvantages of mutual fund TIPS, read about the pros and cons of TIPS mutual funds. The second risk of holding treasuries is interest rate risk. If you hold the security until maturity, interest rate risk is not a factor. You’ll get back the entire principal upon maturity. But if you sell your treasury before maturity, you may not get back the principal you paid for it. Remember, bond prices have an inverse relationship to interest rates. When one rises, the other falls. If for instance, you bought a 4% treasury note two years ago and now, because interest rates have generally risen, a similar treasury note pays 5% interest, your 4% treasury note will sell at a discount and likely won't return all of the principal amounts originally paid. It will be discounted, in fact, until the current yield equals or is very nearly equal to the 5% interest paid on similar treasuries being issued now. Depending on the interest rate difference, this can result in a substantial principal loss. Treasuries are so safe that they don’t have to pay much to attract investors. As a result, the yields on treasuries often fall short of the yields on even very safe, Aaa-rated corporate debt. That doesn’t cost you money, but it could cost you the opportunity for a higher return on another investment. This is an opportunity cost, the difference between what you earn on an investment and what you could have earned if you had invested in something else. The opportunity cost of keeping more than small amounts of cash in a savings account, for example, is generally considered too high for nearly all investors. Treasuries have higher interest rates than a savings account. But often they don’t pay a lot more. If you invest in treasuries, you almost always could have made more money with another safe bond investment. This is one of the biggest risks for treasuries investors - that in being too afraid of risk, they've invested too heavily in low interest-rate treasuries.